A festive anecdote – though associated this time with a less joyous occasion. I had to ‘bite my lip’ today, when listening to a talkSPORT phone-in on the radio. 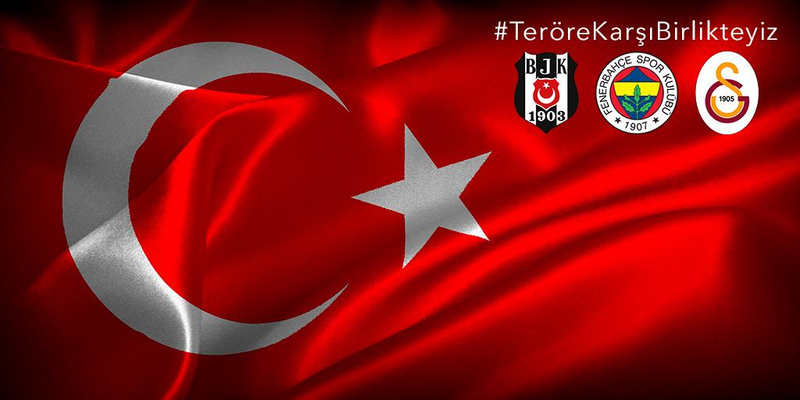 It surrounded the events last night, when Besiktas defeated Stoke City in Istanbul. An over reaction and inappropriate characterisation of all Turks as hooligans was apparent, by supporters claiming to be knowledgeable, and others fuelled by media coverage and/or here say. Was it racist that items were hurled onto the pitch around certain players? Or was it merely that these players were in proximity of the opposition’s fans when celebrating – thus enticement? My experiences are that racism is not prevalent and indeed certain players like Amokachi and Nouma have been worshipped. The one thing I will say is though, that such activities, which can be construed as hooliganism – are more easily witnessed through the divisions by the respective Turkish followers than their English counterparts. Once again, Turkey has to get its footballing house in order. But what can we expect when one of its leading football clubs still encourages merchandise welcoming teams to ‘hell’! It’s for precise this reason my friends say it’s not ‘Turkey’ its ‘Turkiye’ in their native tongues. But “why Turkey”? Ouch, that question pains me. This because, Steve Bellis (ex-“County” Marketing Manager) utters these same words in a not so professional video that we jointly made for a ‘no-star’ hotel which we managed to save in that Country. We actually received a nomination from the Chartered Institute of Marketing for this venture under the theming of “Marketing on a shoestring”. The video even featured in my English wedding (as opposed to the Turkish one – to the same wife!) courtesy of Martin Bellis (ex-“County” Commercial Department and the original Vernon Bear) who had it broadcast with humorous dubbing to boot. The story is well-known about being taken to Turkey by Steve many years ago. Later came my adoption of a Turkish footballer and then marriage to a Turk. I now own a business in that Country advising football clubs such as Galatasaray, Fenerbache and Besiktas. My father in law, Necati, cherishes his visits to Edgeley Park and fondly recalls the warmth of welcome and singing to the Turkish party on their first ever visit. Bilen, my brother-in-law, has caught the bug and shares my infection for “County”. Even when we had Premier League tickets he would turn them down in preference for attending the heady heights of the likes of Spotland etc (away games). Maybe there should be an extended family version of our hymn to “The scarf my brother-in-law wore”? Some might say his ailment is now contagious, it’s certainly incurable, as he’s started a Stockport County-branded blog in Turkey, in Turkish – which can now boast, after a recent airing, ‘as seen on TV’. County fans get everywhere.